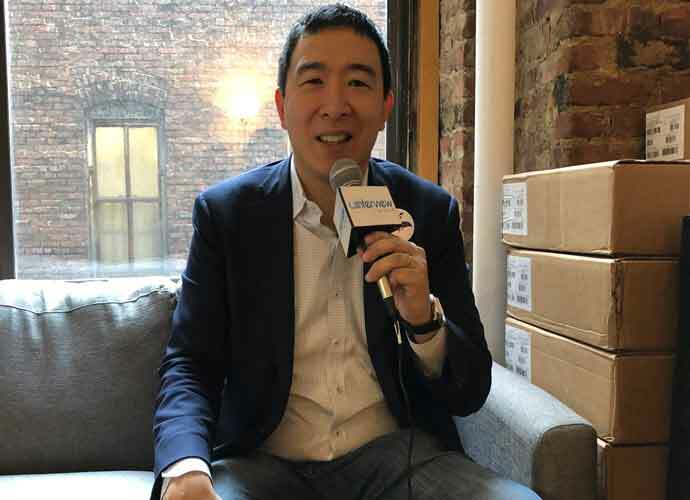 Andrew Yang, a 2020 Democratic presidential candidate, is not well-known but has some bright ideas regarding education, among other issues. The 44-year-old New York businessman sat down with uPolitics exclusively to discuss his view on how to reform education in the United States and said he believes one of the most important changes that needs to happen relates to treating teachers better. Yang added that there are other less obvious factors at play that affect educational systems and school-aged children’s performances in the classroom. Yang re-stated his $1000 monthly universal basic income (UBI) proposal — a so-called “freedom dividend” that allows for people to cover their basic daily necessities without any issues — and applied it to parents. With this premise, the average annual income for a family with two parents would be $24,000. “You’d likely see a rise in parental time input spent with the child reading and helping them learn and you’d find lower stress levels in the household, lower levels of domestic violence and you’d see children’s personalities evolve to become more conscientious and agreeable because they would see that there investment in schoolwork actually gets rewarded,” he said. Yang also noted the galling 44% underemployment rate and the shockingly low six-year college graduation rate in the U.S.: 59%. Yang said this, combined with the massive student loans young people are left with upon graduating college ($1.5 trillion in student debt nationwide) shows that alternative options to a traditional college education are extremely important and can’t be ignored. In tandem with this idea, Yang also proposed an initiative to make high school students participate in a program that would require them to travel to a different part of the country and spend time with a family to learn their way of life and possibly become open to a new job or trade – sort of like a study abroad program, but within the U.S.
Could this all viably happen? Who knows, but Yang certainly proposes some original ideas and raises many interesting points about education that are often swept under the rug by many politicians or political candidates.